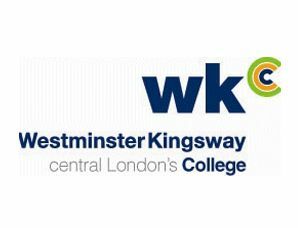 This prestigious London institute, which is known as one of the major schools responsible for offering training in the sector, has been awarded with the English Training Quality Standard. With a focus on its students’ careers, the school has been making a difference for more than a century. 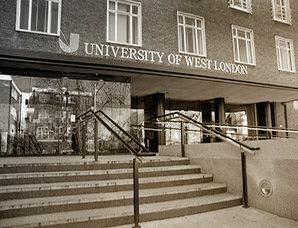 Many courses are available as part of its academic offering and some of its former students include distinguished, renowned chefs. 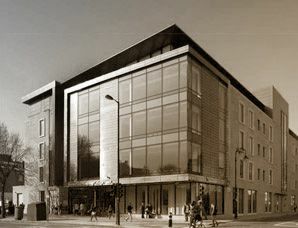 Situated between the cities of London and Reading, this university offers culinary studies that have earned it prestigious recognition from the Academy of Culinary Arts, the French Culinary Association and the Craft Guild of Chefs of Great Britain. 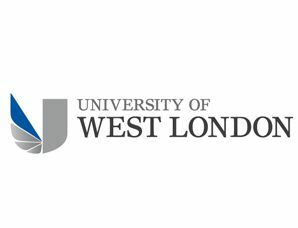 Because they know how important it is for students to continue learning as they work, the University of West London offers the opportunity to train at the restaurant Pillars upon completing their studies. For two years, this prestigious restaurant has been named a Training Restaurant by the Restaurant Magazine. Any students 18 years or older in their final year at the Spanish and international Culinary Schools previously invited by OSBORNE and that adhere to these legal bases may participate in this Competition. The aforementioned Competition will take place outside of Spain between 1 June 2013 and 31 March 2014. 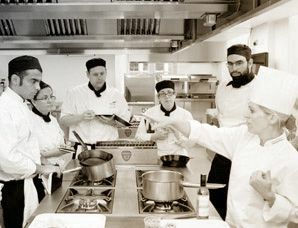 The Culinary Schools that have been previously invited by OSBORNE must select a maximum of 20 students in their final year to participate in the Preliminary Phase of the Competition. 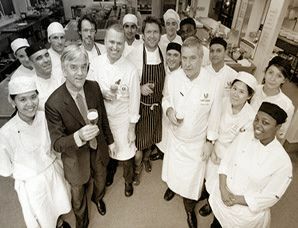 Students may formally register with OSBORNE through the Culinary Schools up until 30 June 2013. 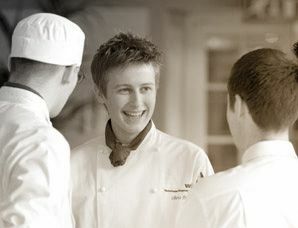 Upon registering, the Culinary Schools must provide OSBORNE with the full name and a photograph of each of the students registered. This workshop will be led by Osborne at the facilities of each of the Culinary Schools with students registered in the Competition and will provide the students with (i) training with regard to the world of Cinco Jotas pure acorn-fed Iberian ham; (ii) a slicing and tasting master class with a master slicer; and (iii) the products required for certain sessions of the workshop. Each Culinary School must select a finalist from among the students participating in the workshop who will be invited by OSBORNE to attend, as the School's representative, the Finals of the “Cinco Jotas International Tapa Award” Competition that will take place in Madrid in March 2014. • Round-trip plane tickets from the city of origin to Madrid for the finalist and one representative from his or her Culinary School. • Lodging for two nights in Madrid for the finalist and one representative from his or her Culinary School. • Transport from the hotel in Madrid to the location at which the Competition Finals will take place and from the airport to the hotel upon the arrival and departure of the contestants. • The activities that are included in the programme of the Competition Finals. Any expenses not detailed in these legal bases shall be payable by the students and the Culinary Schools participating. On the day of the Finals, the finalists of each of the Culinary Schools participating in the Competition will submit two innovative and original proposals for a tapa whose main ingredient is Cinco Jotas 100% Iberian Bellota Ham. LThe culinary proposals of each student will be presented in the presence of Spanish and international online specialised and influential press, as well as a jury of renowned international prestige chaired by Pedro Subijana, a three-star Michelin Chef. The jury will select the winning tapa according to presentation, taste and the prominence of the Cinco Jotas 100% Iberian Bellota Ham. The participating students will be liable for any claim by third parties that may arise in relation to the authorship of the proposals submitted in the competition. The winner of the “Cinco Jotas International Award” Competition will enjoy a threemonth internship at AKELAŔE, a three-star Michelin restaurant in San Sebastián which belongs to the Great International Culinary Ambassador and President of the Jury, Pedro Subijana. The dates of the internship will be agreed upon by the winner of the Competition, OSBORNE and Pedro Subijana. OSBORNE shall assume the cost of the round-trip flights from the city of origin of the winner to San Sebastián, as well as the lodging expenses in San Sebastián during the period of the internship and, for this purpose, will directly reserve the necessary lodging (apartment). Pedro Subijana will provide the winner of the Competition with lunch and dinner during work days for the duration of the internship. The winner's expenses during his or her stay in San Sebastian not included in these legal bases shall be payable by the winner. All awards shall be subject to current legislation with regard to personal income tax withholdings. The award may not be exchanged, altered or offset at the request of the winner or assigned to third parties. From the moment they begin to participate in the Competition, the participating students and Culinary Schools assign the use and exploitation for commercial and advertising purposes of the image, voice and recording rights arising from their participation to OSBORNE, without any time limit or territorial restriction. The assignment comprises all means of exploitation referred to in the Spanish Intellectual Property Law: diffusion, attachment, distribution, public communication, reproduction by any means and transformation or modification. For these purposes, the students and Culinary Schools participating in the Competition hereby authorise OSBORNE, or any third parties appointed by OSBORNE, to hold photography and/or video sessions during each session of the workshop, the Competition Finals and the internship of the winner at AKELAŔE. The use of these rights by OSBORNE will include the assignment of the name, image and voice of those participating and the culinary proposals presented during the Competition, for the purposes of promoting the Competition and Cinco Jotas pure acorn-fed Iberian ham, in any means of support for campaigns using television, cinema, radio, written or digital press, the internet and exterior posters. 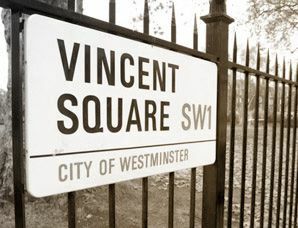 OSBORNE may assign these rights to any of the companies belonging to its business group as long as they are used under the same conditions and for the same purpose envisaged in these legal bases. In accordance with Personal Data Protection Law 15/1999, OSBORNE hereby notifies the participants that the data declared thereby is voluntarily provided by the interested party, who authorises this data to be incorporated in an automated file for advertising purposes, the owner of which is OSBORNE. The interest party has the possibility of exercising his or her rights of access, correction, deletion and objection by sending written notice to OSBORNE DISTRIBUIDORA, S.A.U. at Calle Salvatierra, 6, 28034, Madrid. Given that OSBORNE intends to send those participating in the Competition commercial notices by electronic means, in accordance with article 21 of Law 34/2002, of 11 July, on Information Society Services and Electronic Commerce, through participation in this Competition, the participant expressly authorises OSBORNE to send notices for promotional or advertising purposes by e-mail or any other equivalent means of electronic communication. OSBORNE reserves the right to exclude, on any grounds it deems appropriate, any of the participants from the Competition when there are signs of tampering that establish that a participant of this Competition is not competing in the same conditions as the other participants. OSBORNE reserves the right to interrupt or extend, or even possibly cancel, this Competition provided there is just cause, and undertakes to give participants sufficient prior notice of the new legal bases, conditions or, if applicable, the definitive cancellation. Participation in the Competition implies acceptance of these legal bases and the authorisation to use the participants' data in any possible communication of the campaign. The legal bases of the Competition are filed before a Notary.